In Westminster, the Houses of Parliament are falling down. Barry's 1840s Neogothic building is by all accounts a disgraceful wreck and the grade 1 building that is the working base of many British polititians is a metaphor for the state of the country they run (I use the term loosely). But renovation and restoration work has begun. 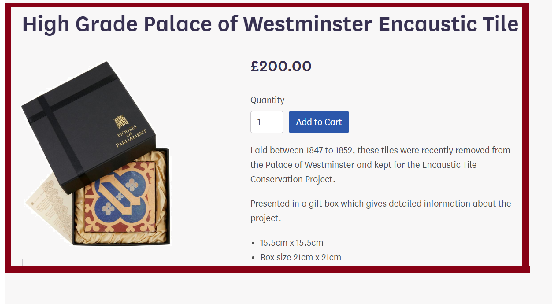 The Palace of Westminster is a valuable heritage asset so, one might wonder why nineteenth century encaustic tiles removed from the building (one presumes with full approval of the heritage services responsible) are now being flogged off in the institution's shop. The Palace holds the same lawmakers that deem it perfectly OK and appropriate for archaeological sites all over the country to be ripped apart by amateur and commercial artefact hunters wanting to find something collectable to keep or sell as the fancy takes them. It's quite OK for them, some of these politicians have even been known to call artefact hunters 'heritage heroes'. So we have a Portable Antiquities Scheme and an official uk.gov building-salvage operation flogging off collectable bits of Victoriana stripped from one of Britain's most iconic historical buildings - with a COA. And what angers me is that there are UK archaeologists out there in Twitterland tweeting away that the removal of 160 year old tiles from a Westminister broom-cupboard floor (or wherever) is a 'national discgrace'. 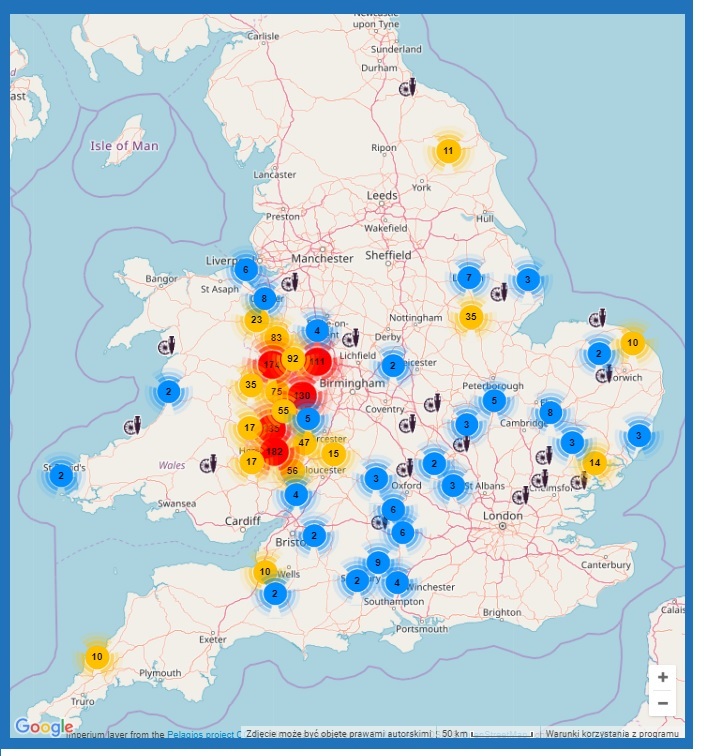 Yet they cannot be bothered to even mention in their social media outreach the wholesale trashng of archaeological sites and assemblages all over the country which (while its happening under their noses and with this 'partnership' receiving their tacit approval) is a national disgrace on a much larger scale. Shame about the tiles, shame about the archaeology. Shame on the lot of you. "You're just a German citizen (on paper)." The transport of antiquities and cultural objects is hardly new, but recent international cases are bringing new attention to antiquities of questionable provenance. Who should own cultural artifacts? And when should artifacts be returned to their countries of origin? [...] It is impossible to deny that the smuggling of historical artifacts generates enormous profits. 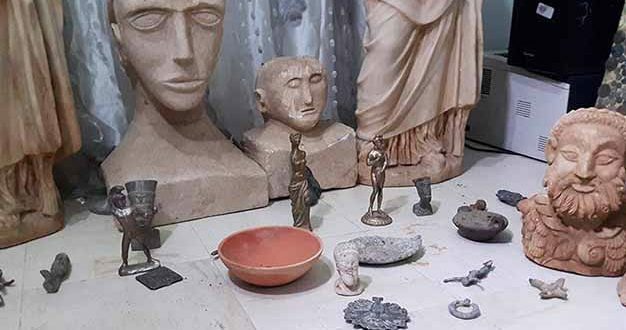 Take the recent arrests in Italy of an international gang thought to have smuggled more than €40 million worth of archaeological artifacts to European collectors and auction houses over the past few decades. These are far from the only criminals profiting from the illegal sale of antiquities. Reports of terrorist organizations receiving extensive funding from antiquities sales prompted new European Union regulations in 2017 to reduce the illegal trade in looted cultural artifacts. 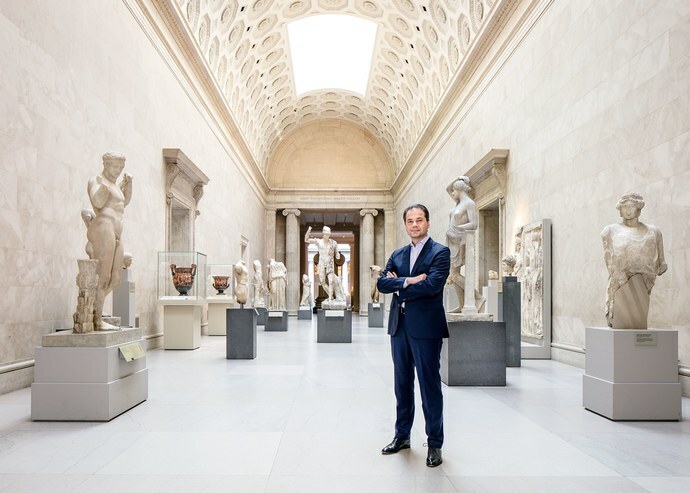 The Manhattan District Attorney’s office has made headlines this year with prominent crackdowns on illegal sales of antiquities. 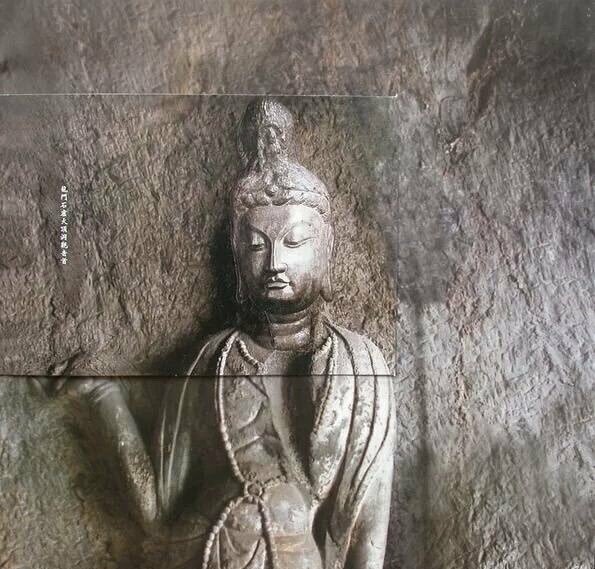 Cultural items time and time again vanish from archaeological sites only to resurface (from 'underground') abroad under suspicious circumstances. There is a high international demand for antiquities, and the unfortunate reality is that both collectors and auctioneers are not always scrupulous about establishing a legal paper trail for the artifacts they buy and sell. In this bold and groundbreaking book, Brent Nongbri provides an up-to-date introduction to the major collections of early Christian manuscripts and demonstrates that much of what we thought we knew about these books and fragments is mistaken. While biblical scholars have expended much effort in their study of the texts contained within our earliest Christian manuscripts, there has been a surprising lack of interest in thinking about these books as material objects with individual, unique histories. We have too often ignored the ways that the antiquities market obscures our knowledge of the origins of these manuscripts. Through painstaking archival research and detailed studies of our most important collections of early Christian manuscripts, Nongbri vividly shows how the earliest Christian books are more than just carriers of texts or samples of handwriting. They are three-dimensional archaeological artifacts with fascinating stories to tell, if we’re willing to listen. Rick St Hilaire has published an excellent summary of a significant decision,in the US a 4th circuit judgement again affirms U.S. import controls protecting ancient coins from transnational looting and trafficking. 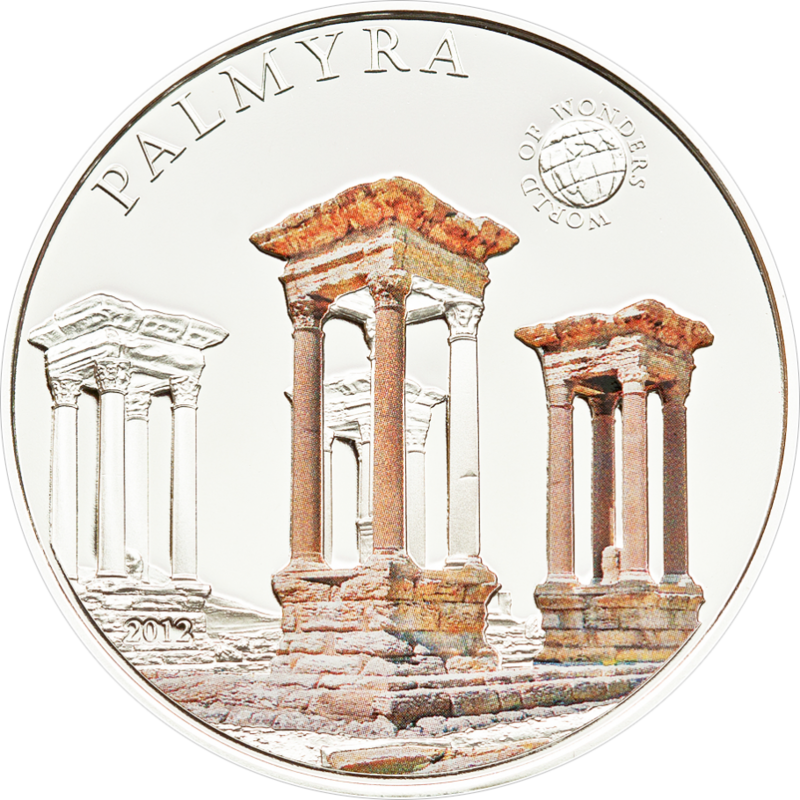 Each successive court decision in the case of the ACCG's illegal Baltimore coin importation stunt has strengthened the Cultural Property Implementation Act, the attempts of a small group of dealers to garner money from dealers' associations to carry out their uneffective and ill-conceived 'lobbying' only weakens the position of the very same no-questions-asked antiquities market they are trying to bolster. Will the coineys draw the right conclusions from this? I think while there are still those to give these amateurs the money to carry on, they'll probably carry on clowning. Is it Collectors that are the real Looters, or Those that Continue to Empower Them? 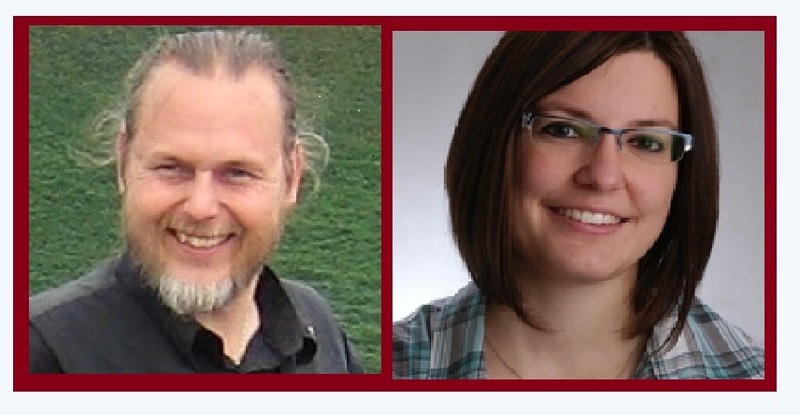 'Pieterjan Deckers, Andres Dobat, Natasha Ferguson, Stijn Heeren, Michael Lewis, and Suzie Thomas may wish to reflect on whether or not their own position is endangering the finite archaeological record'. So says Prof. David Gill. Lets add Raimund Karl to that list too. It is time for them to explain how, in the face of the scale of unmitigated knowledge theft by Collection-Driven Exploitation of the archaeological record in England and Wales (not to mention Scotland) that they so gaily ignore in their attempts to trash Dr Sam Hardy's research, they are not contributing to this situation. And if they cannot do that, shame on them and the academic community that does not hold them responsible for their actions. We are still waiting for the 'Helsinki Gang's' considered response to Hardy's reply here. 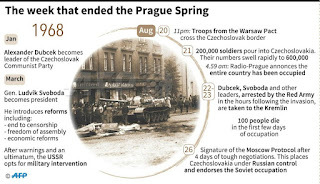 50th anniversary of the tragedy that was the Soviet invasion of Czechoslovakia and end of the Prague Spring and with it any hopes that it would bring reform. 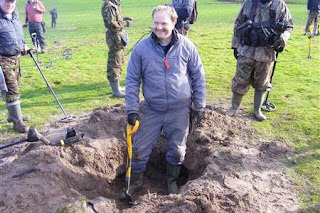 For measuring the efficacy of metal detecting regulation in this regard, it is assumed that all ‘reportable’ finds not actually reported to the relevant authorities (or organisations like the PAS) are ‘destroyed’ (fn 8) while all that are properly reported are (at least) preserved by record. and that footnote 8 says. p 23 fn 8 ‘Destroyed’ is used here as a shorthand for the loss of information about their existence and contexts, which might have been archived had they been properly reported to archaeological authorities (or organisations like the PAS); with this information thus not available to future archaeological research. The finds themselves, of course, may well survive their removal ex situ, as may information about their contexts which is retained privately by their finder. Is there a reason for these texts to be so similar? Is there, perhaps, collusion in this attempt to trash Hardy? Is one text copying from the other? If so, why do the Ixelles Six/Helsinki Gang not cite Karl's paper as one of their sources? Or is there somewhere a hidden text (a Q- source) which these texts are quoting? If so, what is its origin and who is its author? Defending Not Doing Anything About the Scale and Intensity of Collection Driven Exploitation of the Archaeological Resource in Britain; Why? 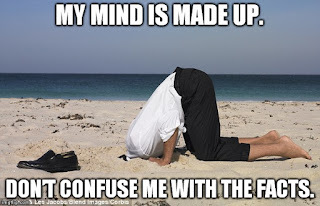 In response to the coverage of 2018's Global Warming Warning Parchmarks, Heritage Action have a few comments on the recent attempts of academics to stave off questions about UK heritage policy: 'A question writ large in the sun drenched fields: “Why the hell defend “laissez faire”? 19/08/2018. The Ixelles Six/Helsinki Gang, it is true did attempt to give reasons why they are defending 'lassez faire', but only in order to produce a smokescreen for not answering the main issue raised in Hardy's paper 'Estimation of the scale and intensity of metal detecting and the quantity of metal-detected cultural goods: A quantitative analysis of open-source data on metal detecting for cultural property'. Really? So reporting rate is developing further even though PAS is turning away as much as ninety percent of what artefact hunters responsibly bring, month after month, year after year? Let us recap. Dr Sam Hardy has produced figures in an article called: ' Quantitative analysis of open-source data on metal detecting for cultural property: Estimation of the scale and intensity of metal detecting and the quantity of metal detected cultural goods [and let us focus for a second on the meaning of the last part of that title - ignored by the Ixelles Six/Helsinki Gang for example who also misdirect attention to a permissive/restrictive law dichotomy]. Hardy's figures are pretty uncomfortable reading for the supporters of the PAS (the head of which is one of the Ixelles Six). 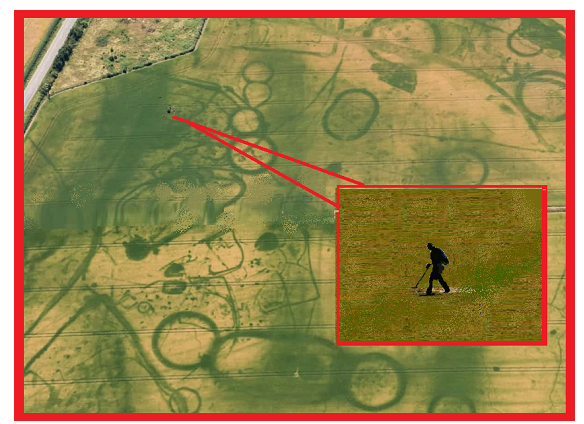 Hardy's figures show that the c. 80000 objects recorded by the PAS are a pretty pathetic showing if there are 27000 detectorists pilfering the archaeological record for collectables. Karl tries to ignore evidence that does not fit his schematic 'restrictive mode' of data collection and comes up with the notion that there are a low estimate of 'the figure of 14,834 established above' (p. 19) - so about half the number predicated by Hardy's attempt to use the other available sources that Karl looking out of the narrow windows of his ivory tower fails (and now refuses) to see. 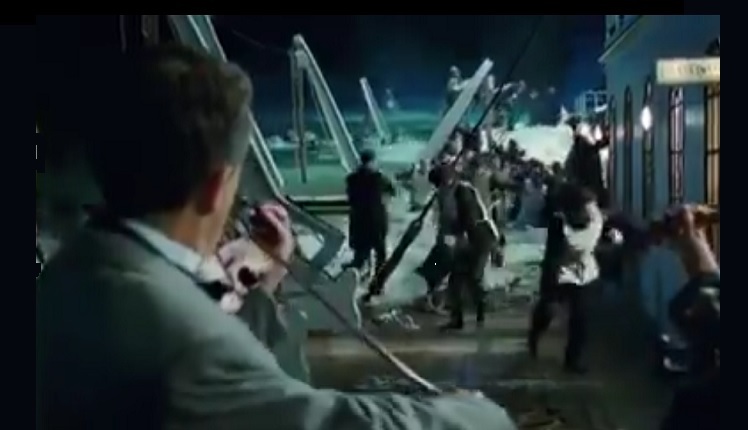 And in order to bring a lifebelt to those still left on the decks of the foundering titanic shipwreck that is British policy (I use the term loosely) towards the emptying of the archaeological record by archaeological artefact collecting, professor Karl ropes in an off-the-record quote of an FLO. Is Mr Reavill being misquoted? Did he authorise the use of his statement here? Is Professor Karl willing to stand behind its use here in this context? I think more than ever we need some honest PAS ground-truthing. When, actually, are the British public going to see some for the twenty years of public money this 'Scheme' has already consumed? Hollein, who as of this August is the Met’s tenth director, strikes many people as being preposterously well qualified for the position. 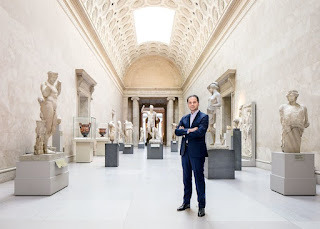 Forty-nine years old and armed with degrees in art history and business administration, he has already directed five museums and overseen the fund-raising and building of a new wing for one of them. He’s curated shows that range from old-master art to Pablo Picasso and Jeff Koons, and delivered excellent admissions. 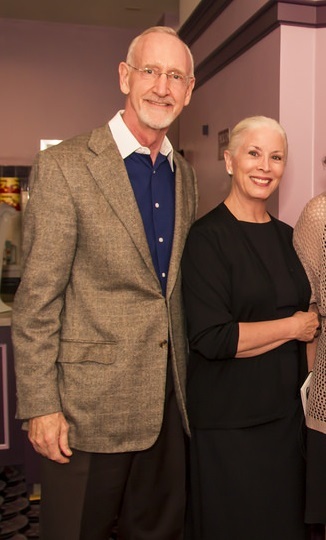 He gets along equally well with artists, curators, board members, donors, and scholars. 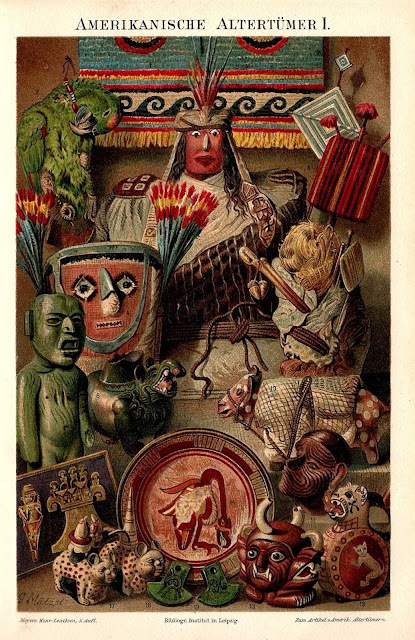 The black market for looted artefacts is generating millions of dollars for crime and terrorism, but the trade is generating big business in another, perhaps unexpected, location: India (Maya Margit, 'India’s Looted Past and Terrorism Funding' The Media Line August 16, 2018). The problem extends far beyond Iraq and Syria, and far beyond the Middle East and North Africa. An antiquities expert claims that India is a top source of funding for terror groups . Tess Davis, Executive Director of the non-profit Antiquities Coalition is quoted as saying that the Global Terrorism Index ranks India as one of the top ten countries with the most terrorist activity and points out that 'it doesn’t require the sale of many artifacts to finance a major attack'. The India Pride Project (IPP) run by Anuraag Saxena is an organization that works to recover India’s stolen artifacts. The five-year old group relies on a network of volunteers across the globe who use social media to track and identify pillaged artifacts. “More stuff reaches the U.S. from India than the rest of the world put together,” Saxena conveyed to The Media Line. “Fifty-two percent of art and heritage recorded going into the United States originates in India,” a situation he attributes to Delhi having “de-prioritized” cultural issues due to more pressing matters. “The whole genesis of the IPP is that history belongs to its people, and if nobody else will ensure [that this happens], then we will,” Saxena affirmed. The Singapore-based art enthusiast added that while India does currently have an antiquities protection law in place, the country is simply not equipped to deal with conservation and has no authority tasked with enforcement. “We’ve not had one significant heritage criminal convicted, ever [in India’s history],” he emphasized. Lynda Albertson, CEO of the Association for Research into Crimes against Art (ARCA) said that the prevalence of the illegal trade is directly tied to a general lack of funding for groups combating it. “Around the globe there are a number of experts tracking illicit antiquities who do so as unpaid volunteers,” she told The Media Line, pointing to IPP as a prime example. “While international government institutions and the press repeatedly voice concerns about how the channels of illicit trafficking of antiquities may have tie-ins to potential funding for terrorism and organized crime, no one, currently, is willing to step up to the plate and to commit to funding the work of these scholars.” The result is that criminals involved in the black market can sell their stolen wares through auction houses or online without much scrutiny or consequences. "Waste of time, they loose items and if they do get put through for treasure, you get bent over the desk and screwed hard by them"
More than 43 traffickers of archaeological artefacts and works of art were brought to justice in the first half of the current year, in addition to 4427 cultural property recovered, said a statement from the Cabinet from the Ministry of Culture. The defendants were arrested and the objects recovered thanks to the coordination of the various sectors concerned and the vigilance of the national security corps, the statement added. The Ministry of Culture praised the efforts that "reflect the vigilance and professionalism of the national security bodies in the fight against crime", highlighting "the importance of civil society cooperation and citizens with the security services and the sectors concerned to put an end to the looting of the national cultural heritage, "the statement concludes. 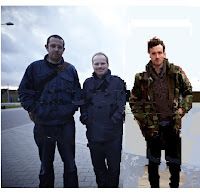 All well and good until we tun to the photo that accompanies it in some media. Up to 30,000 ISIS fighters remain in Iraq and Syria. UN report suggests that up to 30,000 ISIS fighters remain in Iraq and Syria. This contradicts previous US intelligence that just 6,000 Isis militants are still operating in the two countries. Anyway, watch who you bought those antiquities from. So, I guess traffickers would avoid bringing antiquities through the same way, as the local cops would just nick them too. What a tangled web the international transport of antiquities must be... Who'd want to get involved? 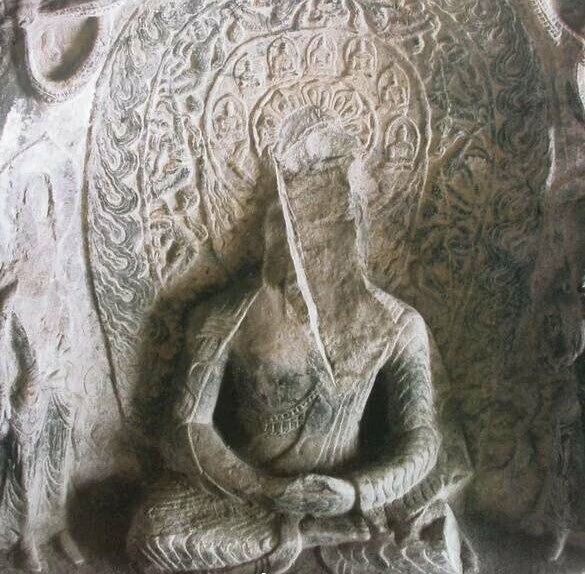 Some views of Buddhas in the Longmen cave temple near Luoyang in Henan province, China. They date to the period between the Northern and Southern dynasties and (mostly) from the Tang Dynasty. 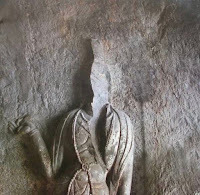 Major artifacts were removed by collectors and souvenir hunters in the 1930s and 1940s, and many of the 100,000 statues were vandalized and destroyed during the Cultural Revolution (1966 until 1976). 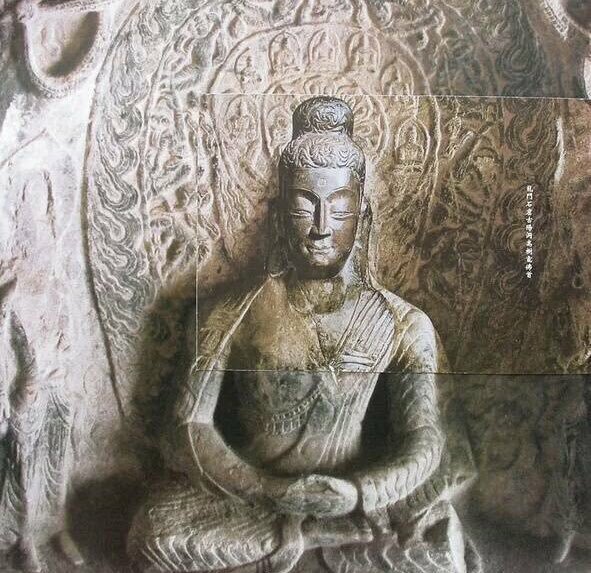 Here we see two Buddhist statues before and after the restoration following the looted heads being returned by foreign collectors. What dos it take to get a collector to return what is obviously a piece smashed off from a complete whole for profit - and if collectors really do 'care about the past', why are there so many headless Buddhas? This instrument will revoke the domestic regulations which implement EU Directive 2014/60, relating to the return of cultural objects unlawfully removed from the territory of EU Member States, so avoiding a one-sided obligation upon the UK to return cultural objects, in the event of 'no deal' with the EU upon exit. Time was when doing the right thing was simply what one does. Now it seems it has become a regretworthy obligation to be avoided. A 12th-century statue of Buddha stolen from India nearly 60 years ago is to be returned to the country after it was discovered at a trade fair in the UK. The bronze sculpture was one of 14 statues ransacked from the Archaeological Museum in Nalanda, eastern India, in 1961. It is believed it changed hands several times over the years before eventually being sent to a London antiques dealer for sale. 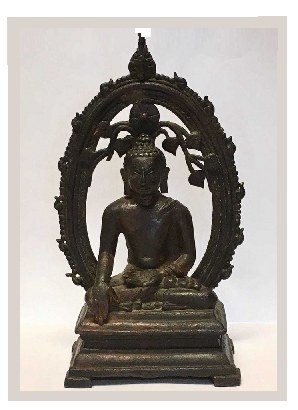 [...] The statue was identified at a trade fair in March by members of the (ARCA), an organisation working to preserve cultural heritage, and which aims to recover stolen artefacts. Police said the current owner and dealer were unaware of the statue’s history and agreed for it to be returned to India. If the owner was 'unaware of the history', why did they buy it in the first place? In such a case the word owner is a false label, they are nothing more than a careless handler of stolen property. Neither that person, nor the dealer who was helping to get this unpapered stolen object off their hands is named. Why not? The above seems to me to be a very good analogy to the archaeologists who, despite everything, insist on calling themselves the 'partners' of artefact hunters and collectors engaged in Collection-Driven Exploitation of archaeological sites and assemblages as a source of collectables for entertainment and profit. They seem to be ignoring a whole range of information and other outlooks that suggest that this is a misnomer. Vignette: PAS and its supporters. Through months of research, Katie Paul and Amr Al-Azam claim to have uncovered a previously unknown digital antiquities trafficking network spanning thousands of people. This important project has filled in a missing link in how we understand transnational trafficking today ('The Middle East’s Other Facebook Revolution: Antiquities Trafficking in the Digital Age', World Politics Review Aug 13th 2018). as a resource that could simultaneously provide financial sustainability and propaganda value, compounding the psychological impact of its terrorism on civilian populations. Notably, it ushered in a new era of terrorism financing fueled by the black market trade in cultural property. [...] The existence of a robust, and largely unregulated, international market for art and antiquities dominated by Western nations provided ample opportunities to launder movable cultural artifacts into the global marketplace—opportunities that are not available when trafficking in oil, weapons or other traditional sources of terrorist financing. Once again, we see an unhealthy focus on one of the groups in the Middle East as if it were the only one that mattered. This blog (and Sam Hardy's blog too) has shown time and time again the problems of the simplistic 'blame-it-on-ISIL' model, and it is disappointing to see US academics still coming out with the same old stuff regardless. Search the article for any evidence backing up this claim and it comes down to a single decontextualised object. The authors discuss the use of social media platforms for this kind of trafficking. Facebook is the most high-profile of the social media platforms that have been used as vehicles for the sale of illicit artifacts; others include WhatsApp, Telegram and Viber. They seem unaware that British metal detectorists (and not a few in other countries) were using Facebook many years ago for networking and coordinating their site-emptying activities. This is nothing new, but the extent to which what they describe happening is now occurring is indeed worrying. 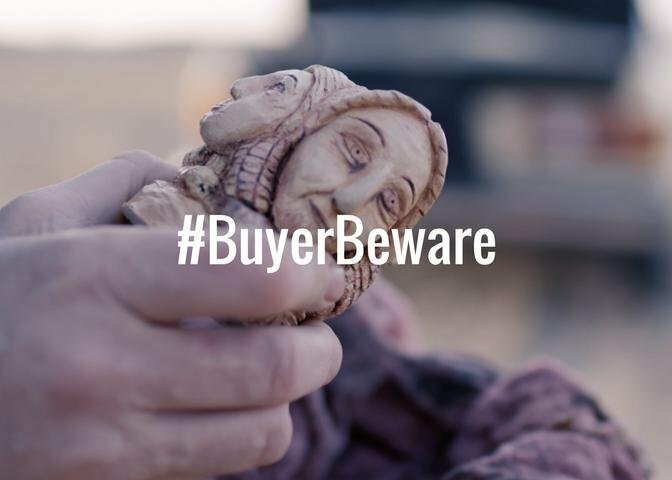 Antiquities traffickers use these platforms to evade the authorities and circumvent regulations imposed by online auction and e-commerce sites like eBay, LiveAuctioneers and Etsy (though these sites are frequently used as well). The current “Community Standards” on platforms like Facebook and WhatsApp fall short of providing the means to report and remove pages and groups that engage in the trafficking of cultural property. While Facebook and other technology giants have had success in targeting the movement of drugs and weapons on their platforms, they have struggled to rein in antiquities traffickers, who have devised their own methods of communication that have helped them skirt rules against such transactions, as well as the artificial intelligence designed to enforce them. They say they have been studying this 'terrorism financing fueled by the black market trade in cultural property' for the past 10 months. The complete study will be published in a forthcoming paper. The data analyzed so far has revealed a sophisticated network of looters and traffickers who have developed new tools and methods to facilitate their illicit transactions. These include visuals such as maps and diagrams to aid in looting efforts and a system for submitting specific “loot-to-order” requests that are quickly fulfilled by other group members. More broadly, it is becoming clear that social media has brought the world of transnational trafficking to the fingertips of a large number of internet users throughout the region, while streamlining the process of executing individual transactions. Many of the examples discussing alleged looting-dedicated resources are of Egypt, not Islamic State' territory. It is unclear how these relate to 'terrorism' and how many are merely a contemporary expansion of the traditional 'buried treasure' motifs of modern folk tales in these regions. Facebook groups dedicated to trafficking, meanwhile, are more like online marketplaces, primarily used for arranging the movement of specific pieces and establishing connections between middlemen and buyers. These groups generally have smaller memberships, with a greater rate of repeat-engagement by members. One of the Facebook pages we examined was operational from 2013 until this past March, when Facebook removed it for undisclosed reasons. Though it had a total membership of just over 16,000, significantly lower than some of the looting groups we examined, some 2,020 members were seen actively engaging and posting on the page with regard to the purchase, sale or theft of artifacts. We have also identified multiple users who are active on several trafficking pages. Some of them offer the same artifacts on more than one page. Of the 2,020 members we studied, 1,552 provided information identifying their current locations. The traffickers come from places like Egypt, Morocco, Algeria, Yemen, Turkey and Iran, as well as destinations outside the Middle East. Dozens of users in the United States, Germany, England, France, Belgium and elsewhere were engaged in the sale and purchase of artifacts through the page. [...] What was once an underground industry, accessible only to seasoned traffickers, has been democratized. The proliferation of Facebook and other social media platforms has created a different kind of revolution in the Middle East, one that enables any cultural property thief to operate as a transnational trafficker with contacts and buyers far and wide. While these new digital communities may be difficult to track, by infiltrating them we can better understand how they operate. Facebook does not currently enforce an explicit ban on transactions involving illicit cultural property. Using Facebook as a vehicle for “stealth” ethnography allows us to see how these groups’ tactics continue to evolve, potentially allowing for the adaptation of new methods to combat the plundering of the Middle East’s cultural riches. But our findings also underscore the fact that we are facing an uphill battle against antiquities trafficking. As criminals continue to adapt, we must adapt with them to have any hope of saving our past. 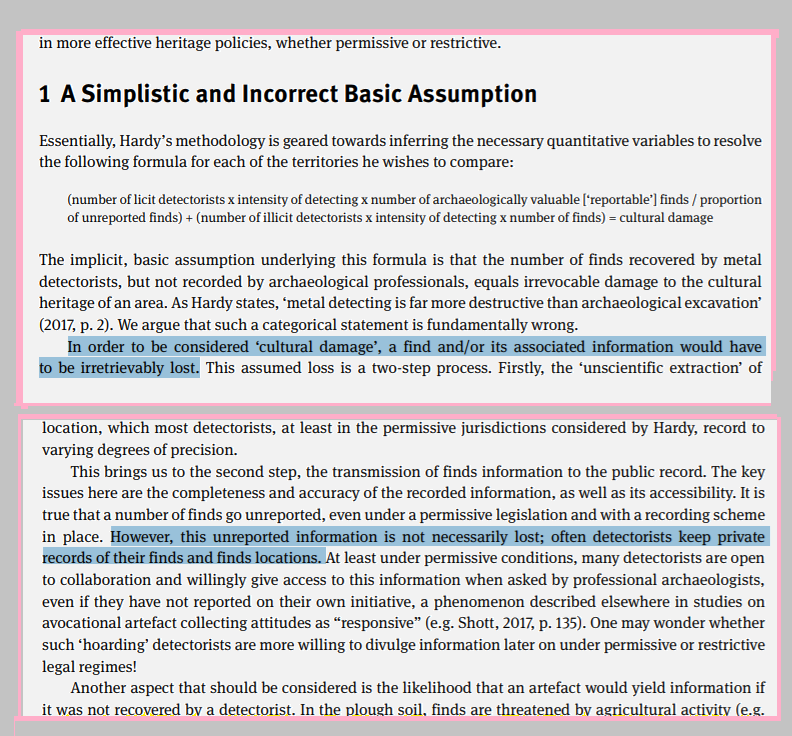 I see one problem with this, that archaeologists cannot seem to agree among themselves that anything needs to be done at all, so for example the Helsinki Gang (Suzie Thomas, Pieterjan Deckers, Andres Dobat, Stijn Heeren Natasha Ferguson, Michael Lewis) recently declared that collection-driven exploitation of the archaeological record is not actually all that damaging. And indeed if you focus on (and publish in) magazines like "the Searcher", I guess you may be excused for not knowing what the rest of us are concerned with. But what kind of 'academic enquiry;' is that? Our research also shines a light on loot-to-order transactions, in which artifacts are stolen in response to specific requests, or “orders,” for material. Until now, there has been little evidence confirming that this actually happens. On Facebook, though, it unfolds in plain sight. On one of the trafficking pages we reviewed, its administrators were making loot-to-order requests less than two months after the page was created. These requests included contact information for the requesting buyers, who were themselves often middlemen. The requests covered particular types of cultural property from particular periods. For example, the administrators at one point indicated they were seeking Islamic-era manuscripts and books that could be made available in Istanbul, Turkey, by a specific date. Other times, they posted requests for Jewish manuscripts, books and artifacts that could be made available in Amman, Jordan. (Amman is a common transit point for traffickers moving material into Israel, which has a large market for Jewish artifacts.) Responses to these requests varied. 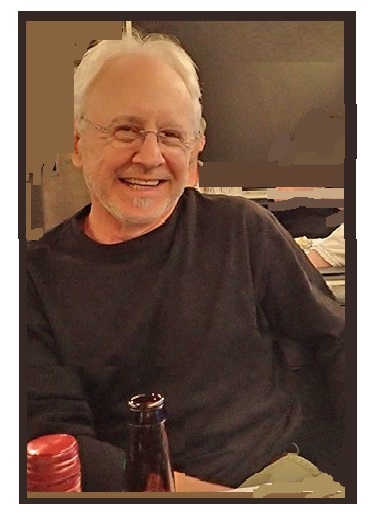 Some members would post a comment showing an image of the type of object being sought, illustrating an ability to fulfill the order. Others would simply state that they had an example of the type of desired object, and request to communicate privately with the administrator. 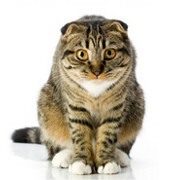 Others would post their contact information, such as an email address or phone number, to connect more securely. These loot-to-order requests signify a major evolution in antiquities trafficking. Looters are now targeting material with a previously unseen level of precision—a practice that Facebook makes remarkably easy. Carved reliefs, freshly unearthed artifacts and even chandeliers in historic mansions have all been offered up for sale with accompanying images. 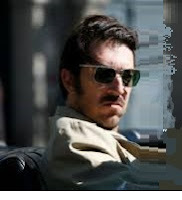 The sellers, in these cases, are simply waiting to identify interested buyers before looting them. So,... collectors are indeed the looters. 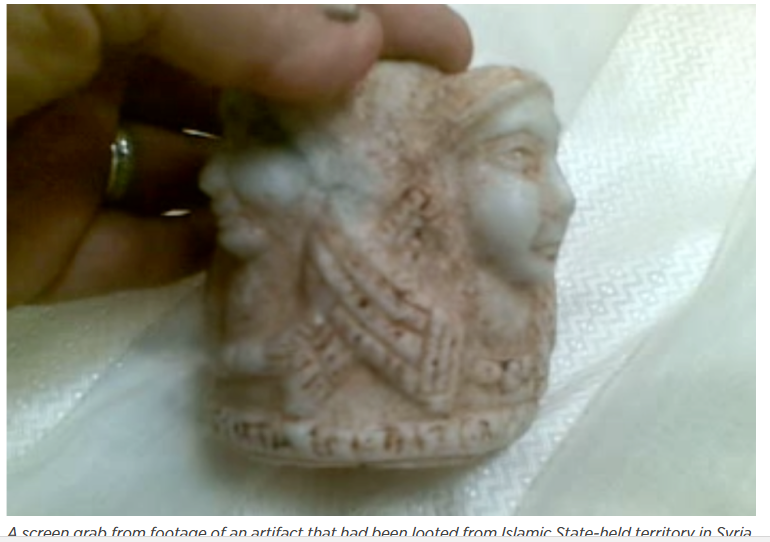 Object Looted in ISIL territory on Global Antiquities Market? 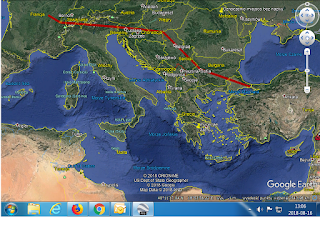 [...] on-the-ground intelligence gathered by The Day After Initiative, a Syrian-led civil society organization currently based in Istanbul, combined with our own online research, has allowed us to trace the journey of one especially rare, perhaps even one-of-a-kind item. 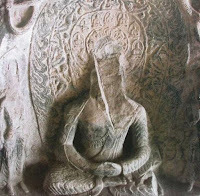 The piece is carved from limestone with four outward-looking, intricately detailed carved faces. The object was probably an ornamental fitting. It was initially tracked by The Day After and documented by its affiliates in June 2015. 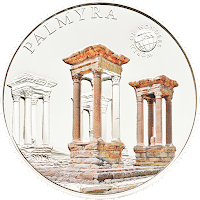 It originated in territory once held by the Islamic State, most likely Raqqa or Manbij, both cities in Syria, before making its way to southern Turkey. Two years later, it appeared in a post on a Facebook page devoted to antiquities trafficking. We do not know what has become of the piece, as communications about it have been conducted in private. However, its quick journey to the online marketplace suggests that looters are not sitting on antiquities for extended periods. Just as a reminder, this is how Syria looked in June 2015 . The Day After Heritage Protection Initiative (DAHPI) through a 'network of archaeologists and volunteers' has for some time now attempted to collected evidence of trafficking of antiquities within Islamic State territory in Syria. Its co-ordinator is Amr al-Azm (who is on record as stating that through this work we now have ‘all the basic information about how ISIS operates with regards to cultural heritage’ - a claim I would be sceptical of myself). 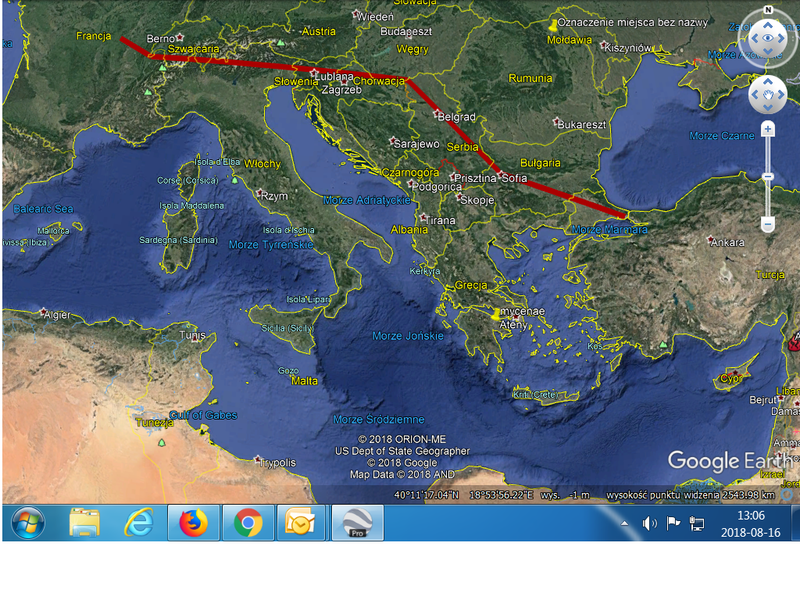 The object was 'initially tracked by The Day After and documented by its affiliates in June 2015', but where, exactly? 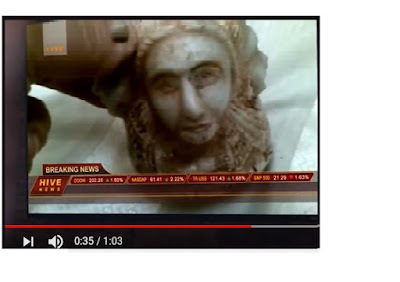 Was it documented like other small objects being claimed as ISIL looted in Syria, or was it documented in Turkey ('before making its way to southern Turkey')? If the latter, why is it being ascribed an origin 'most likely Raqqa or Manbij'? Apparently 'two years later' (June 2017? ), 'it appeared in a post on a Facebook page devoted to antiquities trafficking', presumably the ones the authors were tracking. The authors suggest that 'its quick journey to the online marketplace suggests that looters are not sitting on antiquities for extended periods' - except they have not produced proof of when the object was dug up, was this a product of looting after sanctions and the Iraq invasion that were stockpiled until found and released on the market by militants (any militants, not just ISIL ones) in their annexation of a territory? But in fact was it dug up? The side view with those puffy cheeks and squiffy eyes in the WPR article would not induce me to buy that piece were I a collector, still less the frontal view seen in the video at 0.35. It looks to me personally like a highly dodgy piece, even if it is supposed to be 'one of a kind'. I hope the published paper includes much more detail affirming this is indeed an excavated artefact that ISIL profited from. If we reserve judgement on this piece, it should be noted, the case made by Paul and Al-Azm for the financing of ISIL through the sale of artefacts on Facebook collapses. Let us see the full publication before however passing judgement. I am a bit disturbed by the underlying attitudes of the PAS-supporter archaeologists who seem to be arguing that that there is no need to change national antiquities legislation to curb collection-driven exploitation of the archaeological record (on the grounds that they think they can show that it has little effect on whether sites are damaged by artefact hunters or not). I wonder whether they hold these views in a truly transnational spirit. Take UK metal detectorist 'partners' Baz, Steve and Busdriver Bubba to the left. 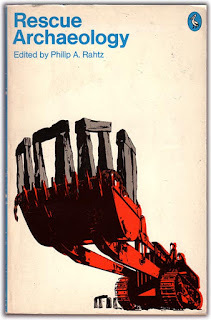 Archaeologists such as Raimund Karl and the Helsinki Gang (Suzie Thomas, Pieterjan Deckers, Andres Dobat, Stijn Heeren Natasha Ferguson, and Michael Lewis) have all argued in this way in recent weeks. So, as far as they are concerned, one may presume their good mate antiquities dealer Reg can enjoy the fruits of their 'responsible detecting', and collectors can buy lots of nice collectables, some of which have been vetted and made extra-respectable by being reported to (and recorded by) the Portable Antiquities Scheme. Just as long as it is all 'responsible' and 'law abiding', which of course most of it is as long as the definition of 'responsibility;' is an ultra-minimalist one (just ask first, shut the gates and fill yer 'oles in) and the laws are skimpily laissez faire. All well and good. But then there are problems with that antiquities market. There are some of us that say that parts of it (not Reg's part 'of course') are intertwined with money laundering, organized crime and (shock-horror) even terrorism and the arms trade. Well, obviously we'd need to do something about that if that is the case - and who has shown so far conclusively that it is NOT? It is not fully clear where Raimund Karl, Suzie Thomas, Pieterjan Deckers, Andres Dobat, Stijn Heeren Natasha Ferguson, Michael Lewis and all the rest actually stand on this question (maybe they could declare themselves). Obviously - I would imagine them saying - their 'partners', law abiding Reg, Baz, Steve and Busdriver Bubba cannot be implicated, it is the Others and their antiquities market and artefact hunting that are to blame. So that means foreign artefact hunters Baram, Sidi and Cameldriver Hamid who go out and scour the desert for flint arrowheads and desert-patinated Roman coins to sell to put food on the tables of their families. 'Obviously. there needs to be a law against these artefact hunters, to protect the Global cultural heritage from greedy little brown hands grabbing at it to turn a profit. I would hope that Karl and all the rest would not be advocating scrapping these laws in countries such as Egypt, Iraq, Syria, Iran, Pakistan, Afghanistan, even where they may not be working too well (as the current flow of finds onto international markets shows). Oh and there is the graspy profiteering of the middleman handler Rashid who turns foreign artefact hunting peasants' found potsherds and partifacts into cash - and then makes a tidy profit himself by smuggling the stuff out [after paying the required bribes and protection money]. I imagine Raimund Karl, Suzie Thomas, Pieterjan Deckers, Andres Dobat, Stijn Heeren Natasha Ferguson, Michael Lewis and all the rest would not see Rashid as one of their 'partners' like artefact hunters and collectors Baz, Steve and Busdriver Bubba. No. I would not impute them of this, but what I would like to ask them is what is the difference? Where in the transnational context of modern portable antiquities collecting and the commerce in such objects is in fact the line to be drawn and why? Is it merely a matter of skin colour? 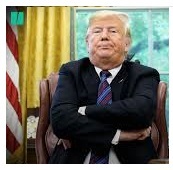 That is, in fact, a very serious question. One which I would like all those who support the PAS on the grounds that artefact hunting in the UK in some mysterious way 'differs' from artefact hunting and the commerce in portable antiquities in almost the whole of the rest of the world. Why is artefact hunting in Islip in any substantive way different from artefasct hunting in Isin? abstract This methodological study assesses the potential for automatically generated data, netnographic data and market data on metal-detecting to advance cultural property criminology. The method comprises the analysis of open sources that have been identified through multilingual searches of Google Scholar, Google Web and Facebook. Results show significant differences between digital data and market data. These demonstrate the limits of restricted quantitative analysis of online forums and the limits of extrapolation of market data with “culture-bound” measures. Regarding the validity of potential quantitative methods, social networks as well as online forums are used differently in different territories. 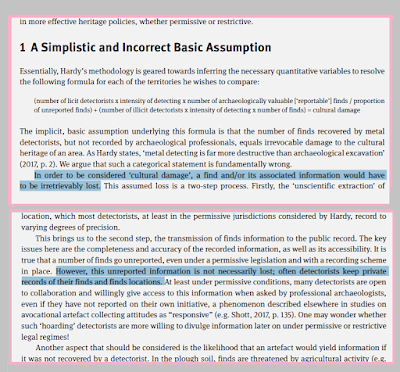 Restricted quantitative analysis, and its foundational assumption of a constant relationship between the size of the largest online forum and the size of the metal-detecting population, are unsound. It is necessary to conduct extensive quantitative analysis, then to make tentative “least worst” estimates. As demonstrated in the sample territories, extensive analyses may provide empirical data, which revise established estimates. In this sample, they corroborate the detecting community’s own perception that they are ‘beat[ing these sites] to death’. So rather like computers and the like I guess. This takes me back to the days when I tried to determine how many detectorists the PAS propaganda of success was not talking of and two metal detector dealers gave me their take on the market size and revealed that they were not as interested in the total numbers sold as much as the number of detectorists who'd be coming back to buy another machine in the near future. Anyway, the Ixelles Six are a bit tardy in responding to Hardy's answer to their obfuscatory hatchet-job (some of them at this moment are tramping around Lapland looking at what they say is Nazi pottery, an important task, no doubt, that will delay them addressing this issue). Now it seems they have another headache to deal with. Can't STOP the bulldozing of our PASt? In a recent study, Samuel A. Hardy (2017) has attempted a wide-ranging comparison of the efficacy of different kinds of regulating mechanical earthmoving operations in archaeological landscapes. Based on a comparison of 12 countries with partially different regulatory regimes, some more liberal, others more restrictive, he arrives at the tentative conclusion that liberal regulatory approaches are less effective than restrictive ones in reducing damage to archaeological evidence by bulldozing. According to the results of his study, the regulatory systems in England and Wales, and the USA, work particularly badly in preventing archaeological damage due to earthmoving operations. In this paper, I demonstrate that his study is seriously methodically flawed, and thus cannot be considered to be the empirical study it pretends to be. As I show, while Hardy uses a reasonably consistent methodology to estimate the scale of commercial earthmoving in 10 of the countries he examines, by slightly deflating the membership figures of the respectively largest online commercial earthmoving discussion board or Facebook group in each of them, he deviates massively from this for England and Wales, and the USA. Where these two countries are concerned, while having comparable data of the same quality as for all others, he estimates the size of the respective commercial earthmoving communities based on the vastly inflated numbers of the largest metal detecting association in one, and a miscalculation based on uncorroborated sales figures for metal detectors, second hand information gathered from an online journal article, in the other. I thus argue that Hardy’s (2017) study, its results, and the conclusions he draws from them, sadly must be discarded. Rather, I argue that his data, if not manipulated, shows (sic) that neither more liberal nor more restrictive regulation of bulldozing is more efficient than the other in reducing archaeological damage. I admit I have altered the title and content of the abstract a little (original here) to illustrate how specious the overall argument is. I think we should all be not a little disturbed by the number of archaeologists adopting this line of argument precisely now. What they are saying is that if restrictive laws do not stop people from destroying sites with metal detectors, spades and bulldozers, we might as well scrap the restrictive laws that exist so when these sites are disturbed by metal detectorists, and bulldozer drivers, we at least see some of the artefacts these people 'uncover' by their destructive activity. What nonsense. We should not rely on the law - since some metal detector users (and some mechanical earthmoving equipment drivers) but on increasing public awareness and public disapproval. [...] figure of 14,834 established further above as the minimum number of presumably active metal detectorists in England and Wales, and assuming all of them to actually, at least mostly, make ‘licit’ finds, this would immediately bring down Hardy’s estimate of the number of ‘licit’ ‘reportable’ finds made per annum in England and Wales to ‘only’ c. 1,315,274. Also, Hardy forgot to consider in his ‘calculations’ that the PAS does not record all finds reported to it (Lewis 2016, 131). Rather, the number of finds actually recorded by the PAS may reflect, on average, as little as c. 1 in 10 of all finds reported to its FLOs (pers. comm. P. Reavill, PAS FLO). Thus, the number of recorded finds might actually represent c. 837,950 finds reported annually to the PAS. Comparing these ‘estimates’, as many as c. 63.71% of all ‘reportable’ finds found annually by metal detectorists during ‘licit’ searches in England and Wales might actually be reported by them to the PAS. This would at least be considerably better than the c. 4% Hardy argues for, even if it probably is an ‘overestimate’. You say it could be almost 64%, Dr Karl? So, I guess we are supposed to assume everything is OK, it's not the ("partner") metal detectorists that are the problem, but just the inability to cope with the FLOODS of artefacts coming in. The point is, even if Karl was right (and I am sure he is not) these objects are still being pocketed by artefact hunters without even the most rudimentary information getting into the public domain -s we are all the losers from the selfishly-exploitative hobby that raimund Karl seems insistent on defending. I'd also like to know what all Mr Reavil's 'partnering' metal detectorists think of all this, week after week they take the trouble to put their artefacts in little polybags, write out the labels and the so-and-so in Ludlow cherrypicks the best ten percent and gives the rest back unrecorded. So the 5,313 records he's spent the last few years making represent some 48000 artefacts lost without record on his patch alone? If that is true, that is abysmal, Mr Reavill. And in Bangor, 64% of the dog poo is not lying in the middle of the pavements, which I'll guess makes Dr Karl really happy. 36% still is though, 4% has been bagged it and taken right away, and the other 60% has been swept behind the bushes where nobody can see it. That's apparently what the Bangor professor sees as a great success and does not require any kind of social campaign to change things, and anyone who says it is not will probably get the same treatment as Dr Hardy. Swiss customs agents found the Beierwaltes’ property while investigating seven separate antiques that were stored in the same warehouse. All together, 111 items were seized. [...] According to the Swiss complaint, “no individual or foreign sovereign, and no other third party, has asserted any claim of ownership whatsoever over the Beierwaltes Property.” The Beierwaltes assert they vetted all of their items and “purchased each object in reliance on express or implied representations from reputable dealers and auction houses in the absence of any thefts reported to publicly available databases of stolen art, such as the Art Loss Register.” [...] The seized property includes a bronze Greek figure depicting an attacking lion, a Mesopotamian composite seated divinity, a bronze figure of an Egyptian Osiris and two Greek phalluses. The Beirwaltes are suing the Swiss government in federal court for seizing their property , they seek an award of $24 million in damages. They are represented by Jessica Black Livingston of Hogan Lovells in Denver (Amanda Pampuro, 'Colorado Couple Seek to Reclaim Artifacts From Swiss' Courthouse news August 8, 2018). People should learn from this that unpapered antiquities are not a medium that ensure you can recover your investment in any place and at any time you want. 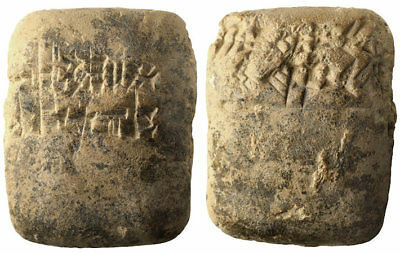 Mesopotamia Clay Cuneiform Tablet 2400-700 BC Complete and Intact Seller : forumancientcoins (5573 ) 100% Positive feedback Item location: Morehead City, North Carolina, United States Price: US $920.00 Buy It Now. Ancient Mesopotamia and Sumerian culture are the 'cradle of civilization.' Man's recording of history, science, mathematics, and literature began with clay and a reed stylus. Only a small percentage of tablets have been translated. Reading cuneiform is extremely difficult and a word for word translation is often impossible. Often it is only possible to get the gist of a tablet. Most are receipts for payments in kind, the number of lambs, goats, or oxen donated to a temple, for example. This tablet is untranslated but it is perhaps this type of receipt.